With the season defining part of 2018/19 upon ads, I started to do that classic football fan related thing of playing out every single game in my mind to see what I think our realistic chances of hitting the targets that are before us between now and May. I recognise it’s a completely redundant idea because the results will almost certainly not work out this way, but it forms some kind of weird comfort blanket at this time in which there is no proper football to speak of. We’ve got a minimum of ten and maximum of 13 games if we progress to the Europa League final and they need to be played in an eight week period with most compressed in to the weeks in April. We play eight league games in the Premier League and can amass a maximum number of 24 points to add to our current total of 60 that were have for the season. Five of those games are away from home and that is where i think our biggest challenge lies. Let’s face it we haven’t been that great away in 2019 and something has to change for us to stand a chance of top four through the domestic league route. In 2018 Liverpool finished on 75 points. In 2017 they did the same but with 76 points. In 2016 City had 66 points and in 2015 United had 70 points. 2014 saw one of the highest points tallies as we got fourth with 79 points and with the league being as it is this season I think we’re probably going to have to look at getting close to that total come this May. 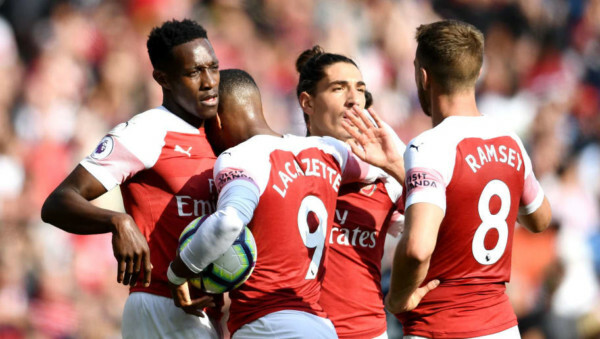 If you think about how the season has panned out there feels like there is an even bigger distance between the ‘top six’ and the rest and all of the top six have been picking up points and going on runs that would suggest that to get in to the top four we’re going to need a decent points total. I doubt we’ll finish the season on 84 points, but I think if we finish close to 79 then we will probably get in to the top four. So that means we need to pick up 19 points from our final 24 available which would be six wins, a draw, plus one loss. That’s some fine margins we have there folks. It means that we have to change certainly the away form and with only one win this side of Christmas against a pretty poor Huddersfield side, we’re going to need to see vastly improved performances away to Everton, Leicester, Wolves, Burnley and Watford. My gut tells me that I think we could get something away to Burnley on the last day and maybe Watford or Wolves might have one eye on an FA Cup final when we play them, but I can see us dropping points away from home and certainly more than one draw and one win. I can see Everton making the game away a tough one, but Wolves and Watford have been good at times this season and whilst I think we might be able to beat Everton away, Palace at home, Newcastle at home and Brighton at home, that only gives us 12 points and in my guesstimation I think we need to be beating two of Leicester, Wolves, Watford and Burnley away. It’s not inconceivable but our defence has been a scary prospect all season and we will concede goals. That’s why the fitness of Auba, Laca, Ozil and Ramsey – just sent back to Arsenal from the Wales camp because of a knock – will be key I think. We are going to need goals and cohesion in our team. If you’re going to put a gun to my head i’d probably say away from home it would be a draw against both Wolves and Watford and probably away to Leicester too. Burnley might be done and dusted by then and assuming we win our home games that would mean 18 points and a tally of 78 points that we finish on. That might be enough given the Tiny Totts’ form and that fact they have some tough games still to play, but it basically means we have to go unbeaten between now and the end of the season. Is that possible? Of course. Is it probable? I don’t think so. With so many games, with so much rotation and with eyes on a possible Europa League success, I can’t see us not slipping up in one or two of those away games. The good news is that at least we go in to the start of this season in plenty of good form and momentum. The win against United and then Rennes put us in a good place and providing players can stay fit then we go in to the game against Newcastle in just over a week’s time with a swing in our step. Anyway, that’s enough from me, so i’ll catch thee in the morrow.